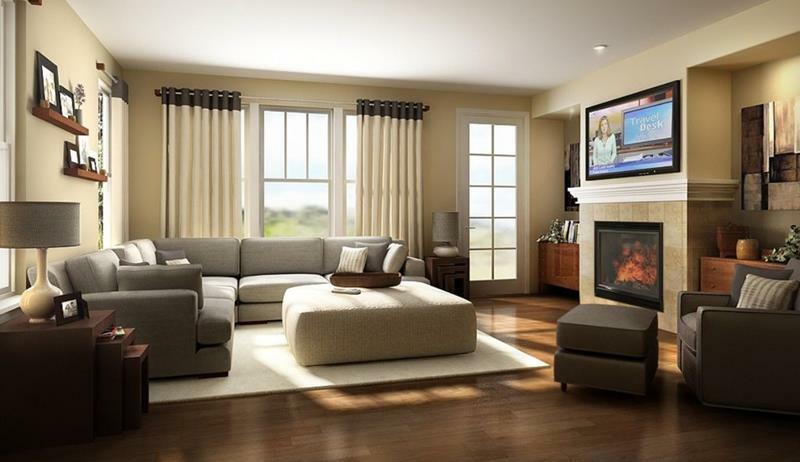 The living room, in our estimation, is the most important living space in any home. The reason for this is simple. The living room is the one palce that you and yours, as well as your friends and family, can return on special occasions or just because. In fact, the time that you all spend in that living room is something that’s going to create many of the cherished memories in your lifetime. 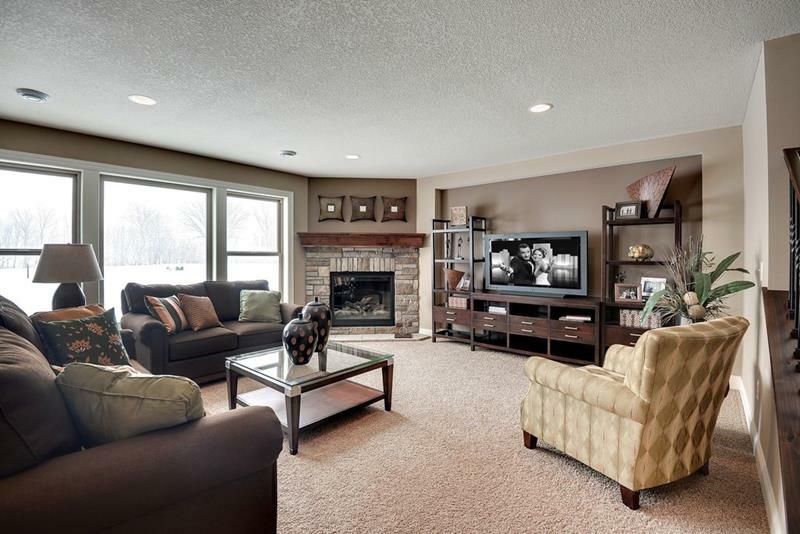 Given that, don’t you want a living room that provides an incredible backdrop for all of those life-defining moments? Of course, you probably don’t need any convincing on this front. If you’re like most homeowners, than you already understand the importance of a well-designed living room. Likewise, you already understand that a fireplace can really define such a space, providing an anchor for the room’s design overall. 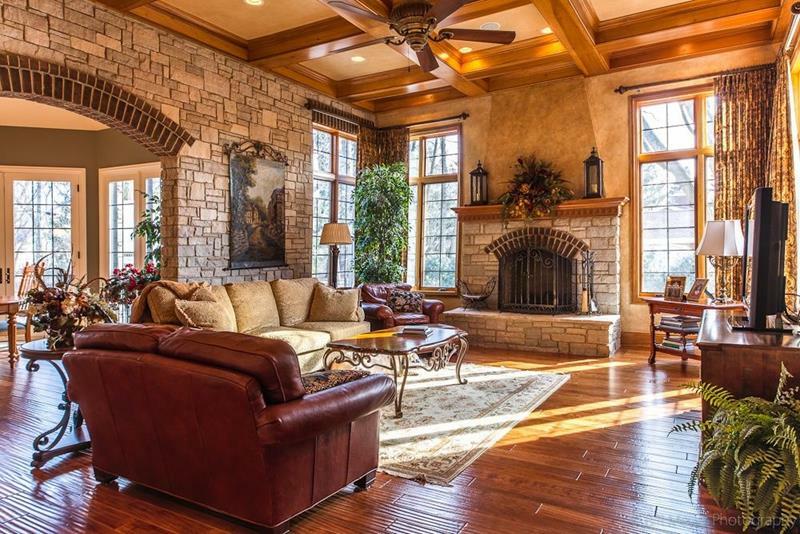 This is why we thought it would be fun to take a look at 20 gorgeous living rooms with fireplaces. In each of the examples that follow, you’ll see the principles of sound home design at play. What’s more is that we’ve collected a selection of living rooms that run the gamut in terms of design aesthetic. For this reason, you’re sure to find something in the examples that follow that will pique your interest. Let’s take look. 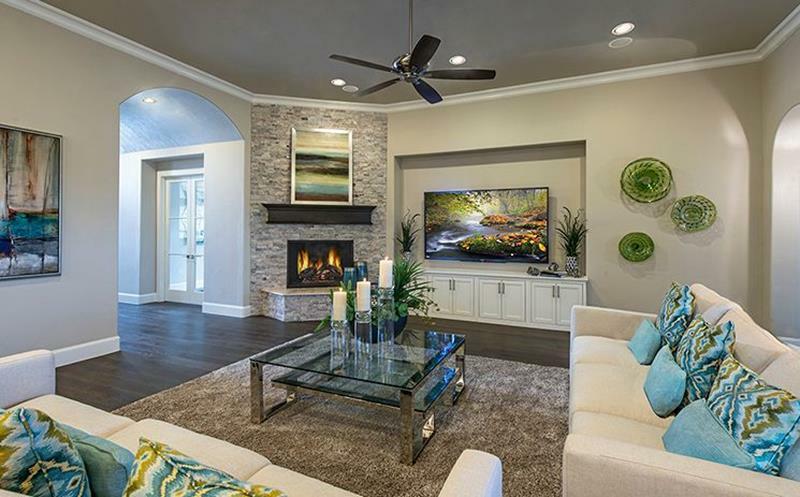 With the tapered feature above the fireplace, there’s just something about this family room that feels grand. 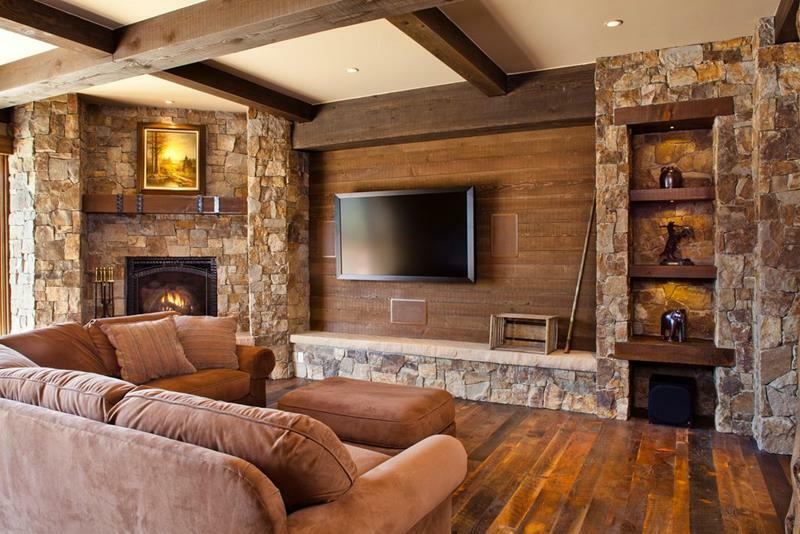 This family room features a fireplace that’s off-centered, allowing for the television to become the visual focal point. Now here’s a living room that’s been designed to allow those who use it to stretch out and enjoy that fireplace. 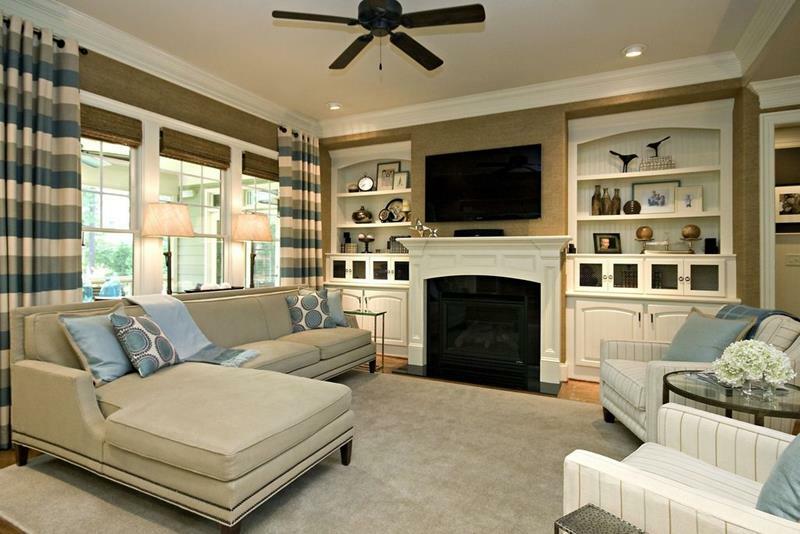 The layout of the furniture here allows you to either focus on the fireplace or upon the television. With the beautiful stone fireplace in the corner, we love how the television is set back above a built-in in this family room.